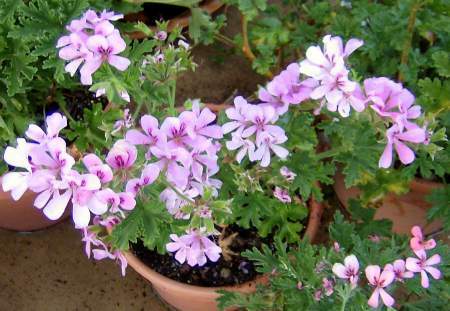 P. ‘Copthorne’ is a cedar scented geranium. What a show! Copthorne has got to be one of the heaviest blooming scented geraniums. It keeps blooming for a long time, too.